A colourful and entertaining starter level course, based on multisensory learning. Sticker activities encourage students to participate directly in the learning process. Avant Gaston also includes a teacher's guide and CD audio. 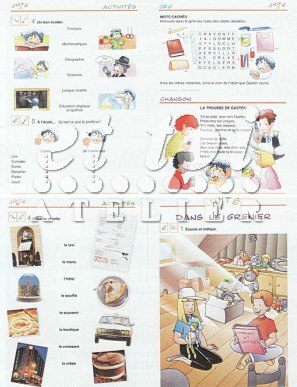 The student's book is divided into 6 units, plus unit 0 which serves as a preparatory and introductory unit to the French language. Each unit begins with a large, interactive and brightly coloured spread, followed by games and various activities: observe, découpe, écris, écoute, colle... Plus, there are songs, matching and observation games, cut out and sticker activities which motivate students in their language learning.